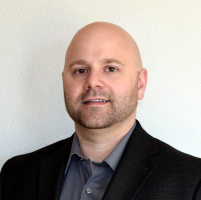 Joe Hopper is the President and Principal Security Consultant for Fracture Labs, an IT Security company with a strong focus on securing embedded systems and the Internet of Things. Prior to starting Fracture Labs, Joe spent 15 years in various engineering roles (application, infrastructure, and security) with Fortune 500 companies. While he has hacked devices from smart lights to airplanes, his business background gives him a pragmatic viewpoint on the security risks organizations face.